If you’re like me (or like anyone else for the matter), weekdays are spent working and running around checking off my “to do” lists. 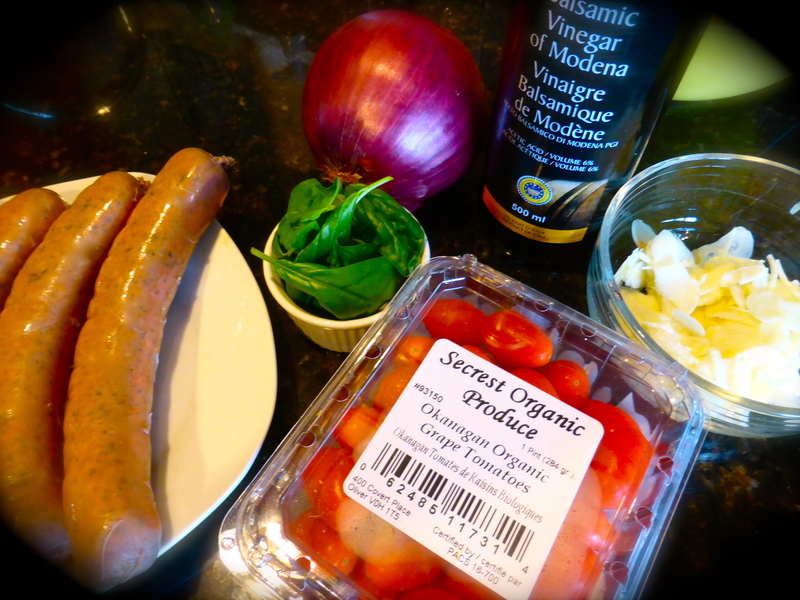 The last thing I want, when I get home – sometimes as late as 7 or 8pm – is to have to start cooking a lengthy meal. This recipe is so tasty and yet as simple as they come. 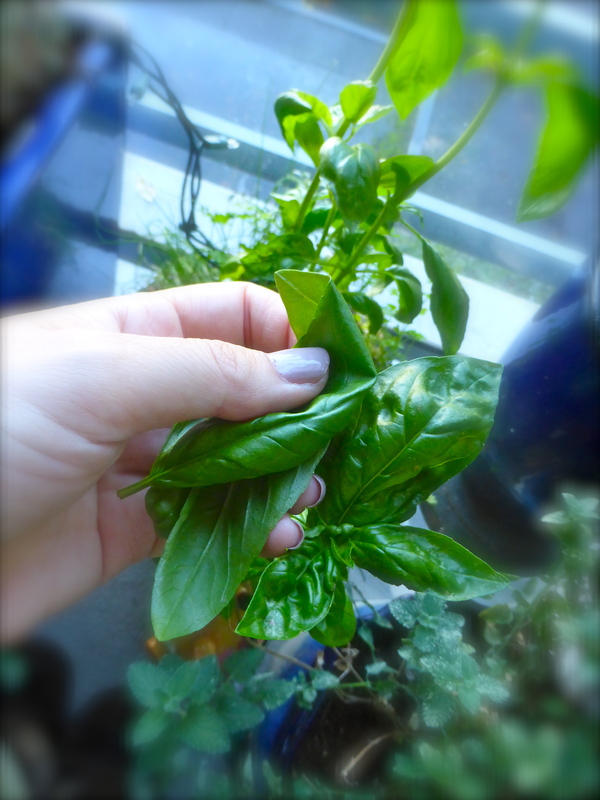 Plus I get to use the basil growing on my city balcony garden! 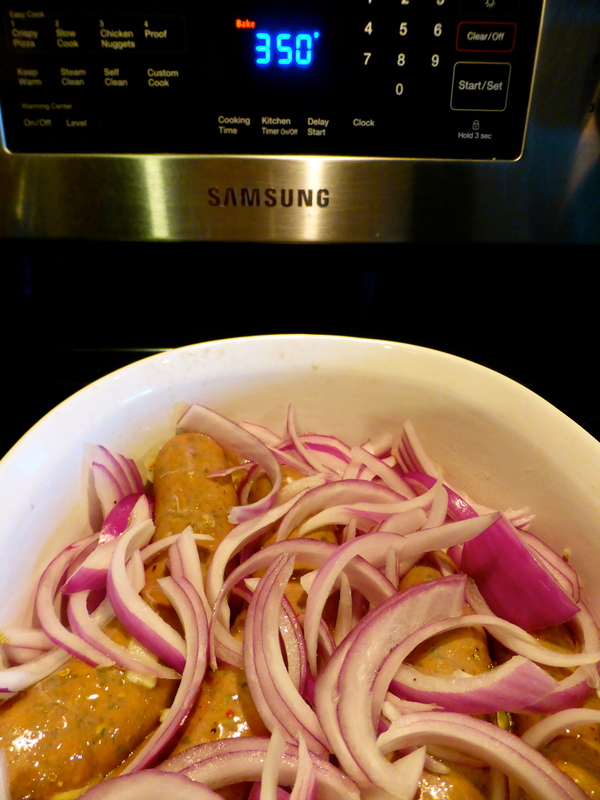 Start by placing the sausages in an oven safe tray. 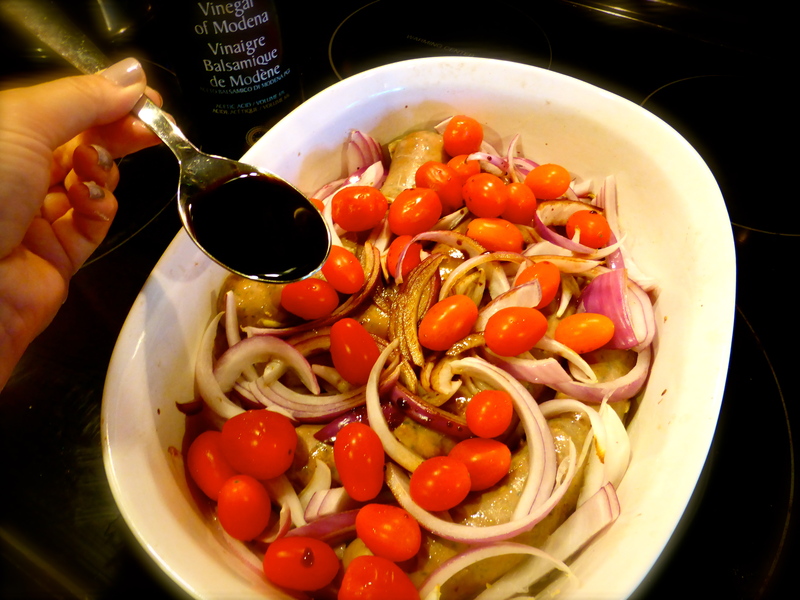 Sprinkle with Olive Oil and a generous amount of salt & pepper. I use Pink Himalayan salt for all my cooking. 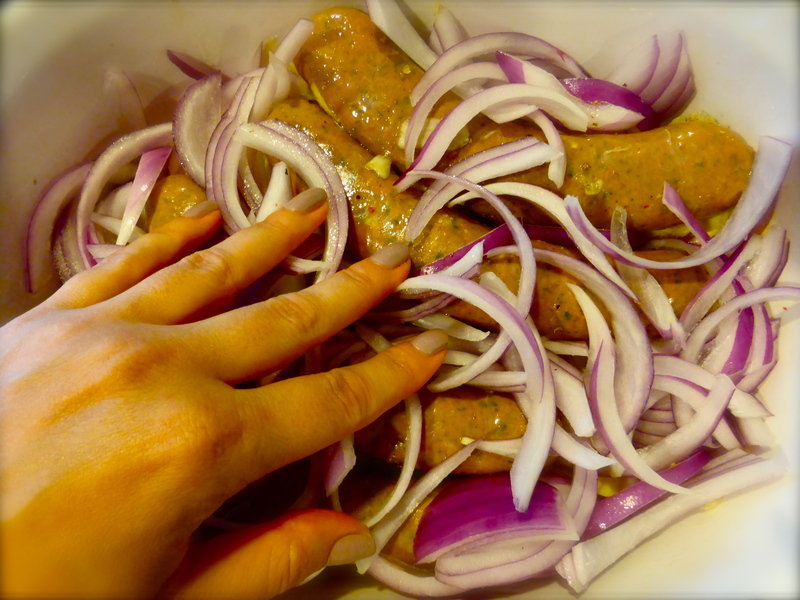 Add the garlic and red onion and mix it well so that the olive oil is coating most of your ingredients. Ooh look! My nail polish matches the onions! 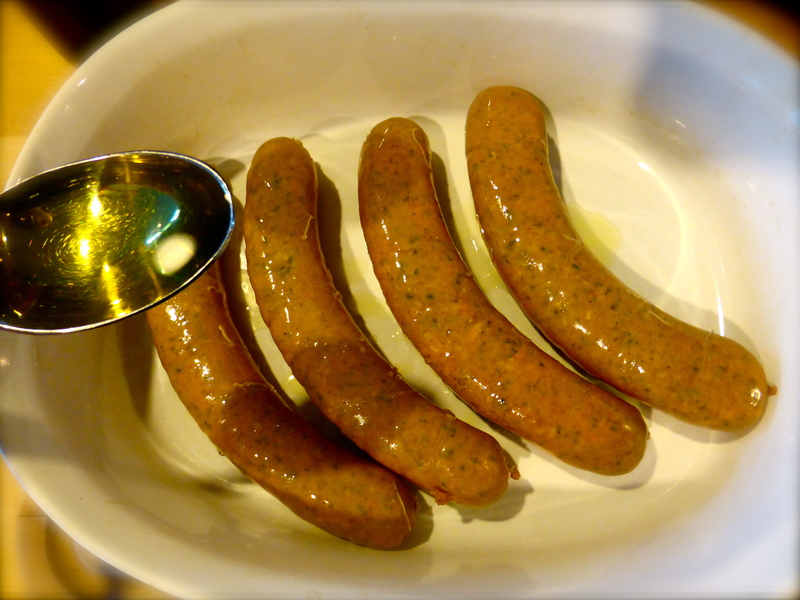 Set the oven at 350 to bake and bake sausages for about 15 – 20 minutes, until they begin to brown. 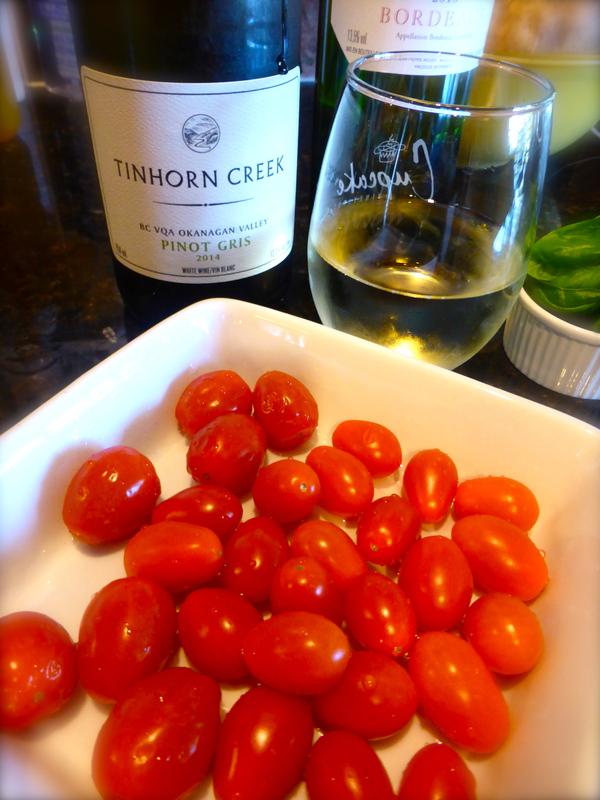 While the sausages are baking, I washed the tomatoes and went out and picked the fresh basil. Then my boyfriend reminded me it was happy hour and poured me a glass of wine. What an angel. 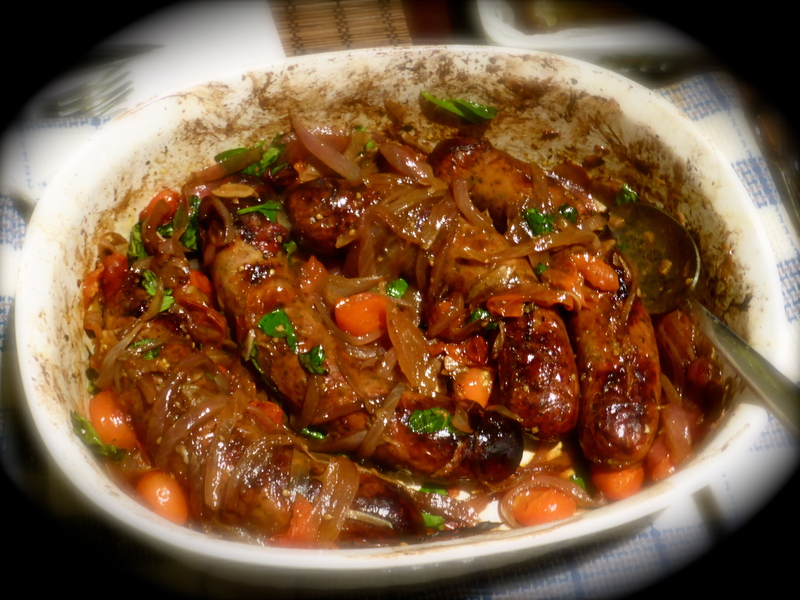 Once my timer went off, I pulled the sausages out, added the tomatoes and 4 Tblsp of Balsamic Vinegar. Stir to coat and back into the oven it goes for about 30 minutes or until the onions look caramelized and the tomatoes are falling apart. Pull the tray out of the oven, add the basil and stir. I served it with a nice chunk of garlic bread. Who said a quick dinner recipe had to be boring? Bon Appetit!